Andy is a beautiful and successful woman in the United States. She was adopted when she is young and as a consequence, does not care at all about norms in the Chinese society. Under the suggestion of her good friend Tan Zhongming, she comes back to Shanghai and hope to find her long lost little brother. She moves on the 22nd floor of Ode of Joy apartment. j Her cyber-friend, Qian Di, who currently live in Shanghai request to meet her. Both have a lot of common interest but after meeting him, Andy discover he is a successful CEO who is no longer young. Disappointed, she nonetheless continue to meet him. They develop feelings for each other by Andy can’t have any physical contact with him and pushes him away. At the same time, she discover from a private detective the possibility that her little brother may have been abandoned upon adoption due to mental issues. She is devastated. Andy puts her mind in her work, but is secretly followed. Pictures of her start circulating online with the title “International Beauty Adulter Successful CEO”. Turns out there is a girl in Qian Dian (aka Wei Wei) who is jealous of Wei Wei and Andy’s relationship. Thanks to Qu Xiaoxiao, the situation is solved and the two reconcile. He buys her food, shower her with gifts, but she is still unsure about how she feels. Fang Shengmei is a beautiful girl in her early thirties, fearing to be a leftover woman. She is beautiful and has a stable job in HR. Her monthly wage is not high and she has to co-rent with Qiu Yingying and Guan Qu Er to afford her place. Her gorgeous clothes are mostly made of fake brands. She hopes to find a fiance with money, capable to bring her a happy life and prosperity. With a high EQ, everyone on the 22th floor depend on her to resolve conflicts, especially the young Yingying. As she turns thirty, Shengmei doesn’t want to date for fun anymore and swear her next boyfriend will be her last. Enters in her life Wang Baichuan. He had a big crush on her in university and is now running a moderately successful business. Upon hearing she is still single, he is determined to move his business in Shanghai and win her over. Shengmei is also attracted to him but is careful, unsure of their future together. She helps him establish his company in Shanghai but is too afraid to tell him she is only renting an apartment. As she discover he is renting his car and not owning, she decides to keep a distance. By visiting her at the apartment, Baichuan discover the truth about her status. He too is torn about his feelings. 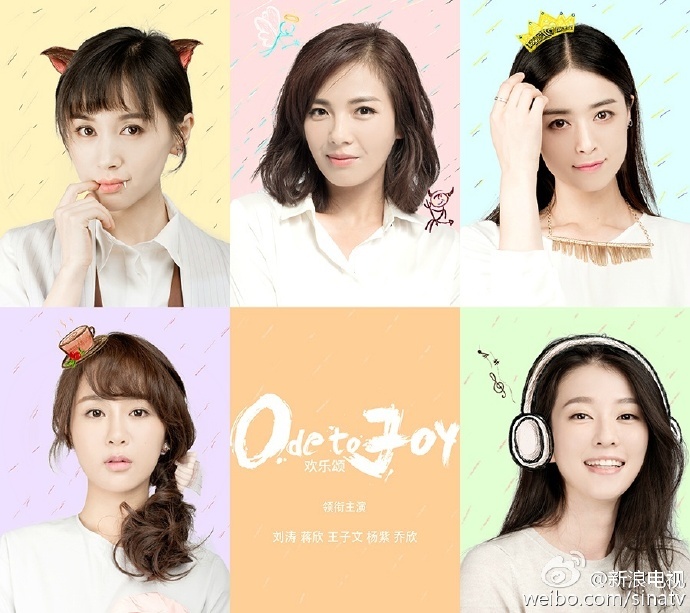 Qu Xiaoxiao is a rich second generation girl with a large gang of equally rich friends. she used to study oversea but was partying most of the time. She decided to move is the “rusty” Ode of Joy building, hoping that it will soften her dad’s heart (since she isn’t living in the mansion he prepared for her) and he will make her the CEO of the family company. She has a half brother older than her, also a party animal, who is currently working for the family company as a higher up. She has a direct and foxy personality. Using Andy’s help and her own connections, she seals an important business deal and her dad accept to invest in a branching company for her. She discover joy in doing business. During a visit to the doctor’s office, Xiaoxiao meet Dr. Zhao Qiping and feels in love with his handsomeness (who wouldn’t xD). She successfully gain his wechat account and continually message him about her ankle “problem”. When visiting the hospital, she finds a sad Qiping who just performed an unsuccessful surgery. She decides to bring him on a date to cheer him up. Qiu Yingying is an accounting graduate who has yet to pass her certificates. She currently works as an office assistant but ask home for money to pay the living fees of exorbitant Shanghai. She has a positive attitude in life and LOVES to eat! Food everyday, anytime (yet, she is so pretty >< me jealous)! When she is stressed or unhappy, she talk it off! If you are in her way, she will get in your way. At the office, she feels in love with the HR supervisor Bai Zhuguan, a nasty man who only planned on playing with her. When she discover he visited Qu Xiaoxiao, she enters in a big fight with everyone at Ode of Joy. When she discover he cheated on her, the other girls convince her to break up with him. He shows his true self when he report Fang Shengmei to the police and prevent Qiu Yingying from working correctly at the company. She is furious and screamed his wrongdoings in front of the whole office. Both get lay off. QYY start worrying about where her life is going and start been disagreeable with her roommates. Thanks to FSM, she manage to re-find her positive attitude. After another public confrontation with BZG, a CEO at a career fair is impressed by her strong attitude and hires her to be a coffee specialist. With a new career, she works hard and wonder: what would happen if she open an online coffee shop? Her CEO approve of the idea and for the first time in her life, she feels accomplished. Guan Qu Er is an intern at a Fortune 500 company. Despite not graduating from a famous university, she managed to find this job thank to her parents. Always afraid of getting laid off, she works hard everyday and always do overtime. Guan Guan is a great friend of Qiu Yingying and is extremely considerate of other’s feeling. She idolizes Andy for been so strong and capable and hope to find her own place in this big city. A Xue Zhang (upper year male student) seems to be interested in her but she is not sure and too afraid to show him how she feels. With the approaching end of internship, she can only work hard. Because she helped a colleague with her paperwork, she gets reprimanded for a careless error. With overwork, lack of sleep and stress… one can only worry for her. First, let’s get one thing out of the way: the narration is annoying :”D. It sounds out of the place and it is almost as if I am pausing the drama, listening to the narrator talk about something completely unrelated, and then the drama continues. Luckily, it happens less and less often. At the beginning, the different personalities of the girls made me wonder if it will be a big messy drama. Sometimes, when I want to concentrate on the story of one lady, the other’s gets all the screen time. A little irritating when you invest yourself in one story in particular. Oh well. Even if it annoyed me, it helped me fell in love with every single characters and care for them. Since this is a modern drama, the plot can only go one way or the other and it is easy to figure out what will happen next. Sadly, the story is borderline boring and there isn’t many plot twist. I hope something exciting happens soon! Everyone is interesting but nothing is moving at a fast pace. Despite having a great list of male lead, the drama still focus on the girls and refuse to give too much important to the boys. For example, I know a lot of people were waiting for Wang Kai’s first appearance in the drama… which occurred on episode 10. Well worth the wait, he is handsome in white coat :D… Hope for a happy ending for everyone! Overall, I will give the drama a 8.5/10! I love the cast and the characters, but still waiting for it to surprise me 🙂 Everyday, two hours in the afternoon are happily invested into Ode of Joy!~~ Who else is keeping themselves up to date with this drama? I’ve only watched the first episode yesterday and liked it quite a bit. Now, I’m only wondering how many episodes will it take before I call it quits again. XD But so far, I love of the girls’ distinctive personalities. Great job summarizing the characters! I totally agree about the narration!!! It ruins the mood of the story and the narrator’s voice doesn’t match the story at all. The drama should not have to rely on narration to reveal the characters’ thoughts and feelings. Seriously. I’m also not a big fan of the soundtrack; the main theme song doesn’t really match many of the scenes that it’s used in. However I really love FSM’s sisterhood with Guan Guan & Ying Ying! Yep, so many people hate the narration and I wish they will re-run the drama without the voiceover in the future. Most modern/ slice of life dramas have happy and positive OST, maybe that is why they choose it? I prefer the OST sang by the female cast in comparison. Tbh, i’m only watching this drama for its cast, for the same reason I watched Hua Qian Gu. The plot so far has been fairly typical of modern dramas so I can only hope they pick up the pace soon. We’re almost half way (currently ep19) so things should take a turn within the next few eps. Aside from the cast, I’m also interested in the storyline of Andy’s mental spiral– the trailers were very shocking and I’m keen to see how Liu Tao would portray this. The plot isn’t that captivating but the drama is easy to follow daily. I don’t wanna jinx it lol but hopefully I will watch til the end (cos I usually end up dropping or skipping through most dramas…). I love how the characters tare so relatable (esp. Guan Guan and Xiao Qiu Ying). hey intellectualkitten – thank you for the awesome review. I was initially hesitant about watching the drama. I did in fact viewed first 20mins of the show and to be honest I wasn’t quite sold on the storyline even with the promise of good-looking men (aka Wang Kai). But based on your review I’m going to give it another go. I will commend the director for setting up each character by introducing their personality to the viewers. It’s allows the characters to becomes much more personable and relatable. i’m kinda conflicted about this bc i really don’t like qu xiao xiao and she’s going to be the love interest of wang kai. i like the other girls esp. guan qu er tho. I actually like Wang Ziwen’s acting, she gives life to the character. But I fail to see how QXX and Doctor Zhao have anything in common. I feel this is much a true drama with plot teist and is more like a realistic social commentary on China and bring some issues to the forefront. 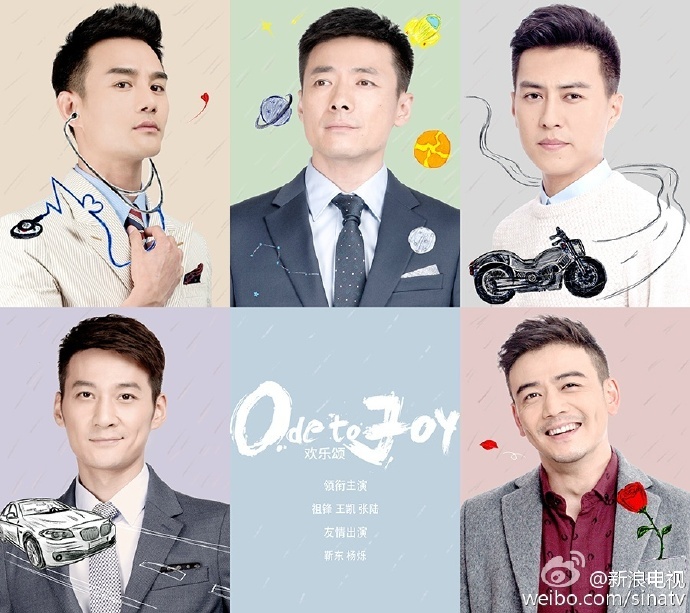 I think the main theme of the drama will be class and social mobility, with side bots on mental illness (An Di’s plot line), leftover woman ( FSM’s plotline), diffculty of youth employment (QYY’s plotline, which also serves as an innocent mirror of cruel adult world), Fu’erdai, guanxi and nouveau riche (QXX’s plotline), and how a typical good girl that have all “correct” upbringing and schoolwork will fair in the real world. (GQE’s plotline). It’s very similar to the drama Dwelling Narrowness from a few year back and it really brought a lot of dicussion on social issues in China. And personally, i think it more important to do that and face the problems of modern society, rather than have fairtale plotlinesto escape from it. Yay I found a website discussing this show, my initial interest in this was based solely on the cast. When I started this show it was episode 2 I think that did it for me, and I decided I was going to keep watching. I was sold on the sisterhood, friendship, the focus on the struggles of upcoming young professionals and their journey to independence: basically I liked the reality of it all. However along the way the plot did slow down and I started wondering why I was watching this again. The plot then quickened again, leaving me with mixed feelings about the QYY plotline: slighty annoyed at QYY but also feeling sorry for her and understanding her reactions based on her personality. I fell in love with FSM, liked her personality from the beginning and very much enjoyed her and WBC together. Now for my grievances….. I started feeling increasingly turned off by QXX antics, while I disliked her ways of handing things (manipulation, using people), she was still funny and interesting to me, until she messed with FSM again. From that point on, while disappointed with FSM’s reaction, I couldn’t stand QXX anymore. Then Wang Kai finally appeared, but when I realised his character was going to be paired up with QXX my heart sank. Then WW/Andy: I disliked some of his comments in the beginning, but I gave it a chance until the most disgusting scene (the one in the parking lot) I’ve ever seen in a show (and I’ve seen some awful stuff) between Andy/WW happened. Absolutely garbage, WW is trash to me now. It baffled me that it was portrayed as if WW is bringing Andy out of her shell, as if this was a realistic approach to getting someone like Andy to interact on a different level with other people (Trust me don’t try this in real life). This quick forced sprint in their ‘relationship’ was unnecessary, and not realistic at all. Another sore point for me was QXX/dr.Zhao’s first date, disliked it. I’m supposed to believe that this young established somewhat stoic doctor (with a long time GF???! ), after losing his patient, is going to let this girl he has met face to face like once aggressively convince him to dinner/drinks and then a club? Really? Awfully wasted opportunity, they could have done it millions different ways and this is how they chose to handle it. I actually skipped through those scenes, imagine that: I skipped through Wang Kai screentime! At this point I’m only watching for FSM and her with WBC, GQE and QYY rediscovering herself. Now that FSM is giving WBC the cold shoulder I don’t know if the remaining plots are going to be enough for me. My final sore point: WHY is an actor like Jin Dong relegated to some background CEO?! His character better get some more screentime, because some of these other male characters definitely do not deserve it. I share a lot of my opinions on it, which are very similar to yours. This drama gives insight on the struggles in life and what one should do in difficult situation, a selling point to me. QYY can be so oblivious that I face palmed multiple times at her actions. But she is young and not that important to the main plot, so I let it go too. QXX is a plot device in FSM’s life and even though what she does is despicable, FSM need to learn the truth. I hate how she uses people, but so far she isn’t annoying me that much. However, her relationship with Zhao Doctor is so dysfunctional! First, where did Zhao’s girlfriend go? And why did he feel in love with her? Just because she pursued him and invited him to drink when he is sad? Their romance moved too fast and isn’t believable. However, I think they will still end together. WW is forcing himself on her and not giving her the space she deserves nor need. If this is real life, I wonder how a woman in Andy’s circumstances will react. Another dysfunctional relationship. FSM and WBC has a lot of chemistry and seems to care about each other. I hope she stop hiding her true self and accept a relationship with him. Thanks I’ll check it out! I think it’s a good idea to read a review before continuing the show, haha. I see you have a new site, so I’ll go there next time. Yes, exactly the way they handled dr. Zhao/QXX’s relationship is not realistic. For a show who’s main selling point is its ‘realism’ (although within limits ofcourse), I can not believe how they have handled some things. I agree about WW/Andy. I agree about FSM/WBC too, they are very cute together. What I love about WBC is that he’s just supportive and doesn’t force her to accept his feelings. I just hope FSM finds her happiness, whether that is in a relationship or not. But if she’s going to have a relationship, I’m rooting for WBC!